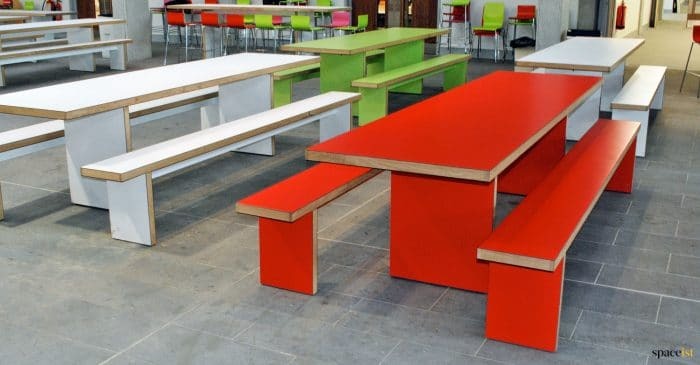 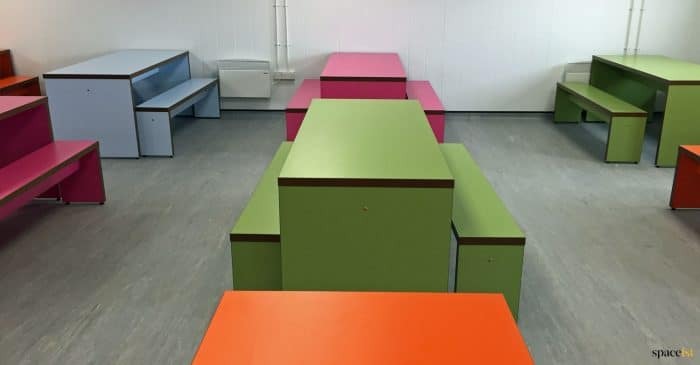 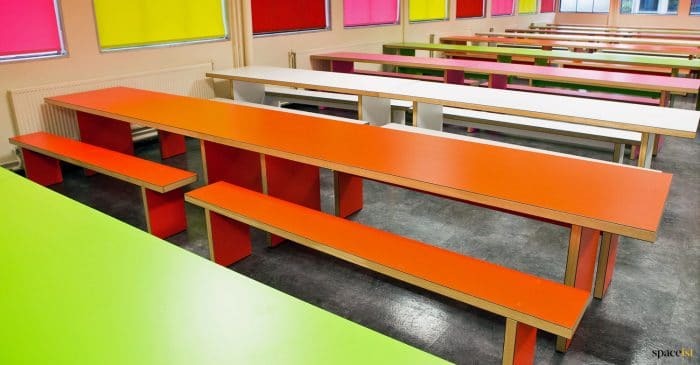 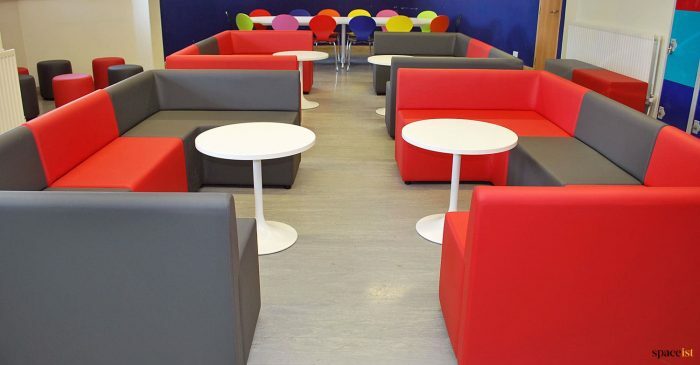 Spaceist was contacted by Bishop Ramsey School to supply them with a furniture package for their brand new building, known as ‘The Wedge.’ The school required furniture for their new expansive dining area, student breakout zone and main entrance reception area. 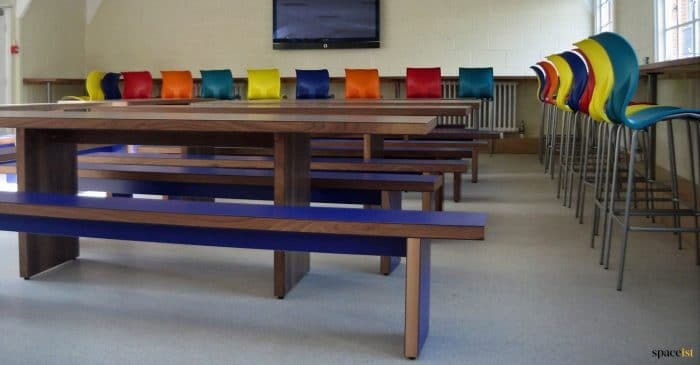 Both the staff and students are extremely pleased with both our furniture designs and the consultation services we provided. 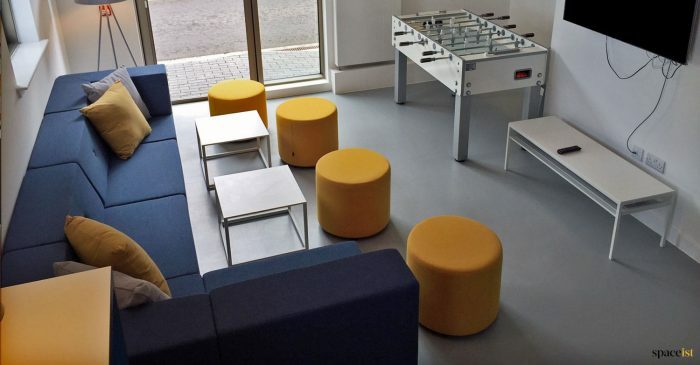 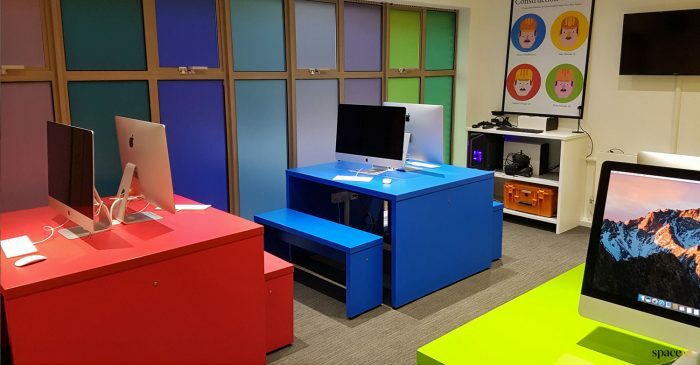 Recently we teamed up with Surrey County Council to design and furnish their newly built youth facility in Caterham. 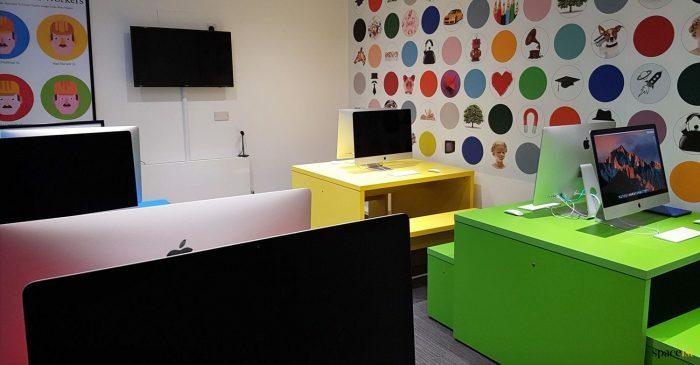 The centre was designed to offer training, advice and counselling for teenagers and young adults in the area. 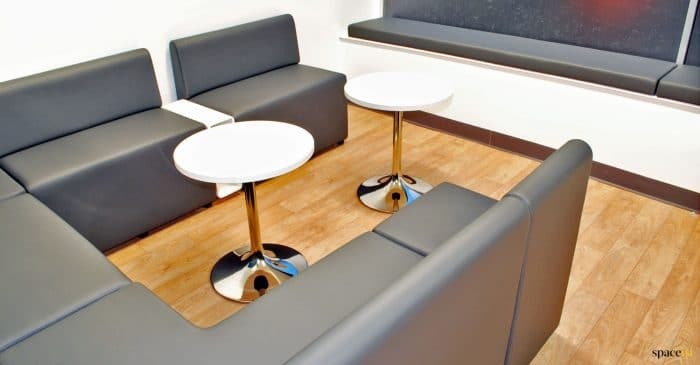 Spaceist supplied stylish, practical and affordable furniture for the cafe bar, media lounge, chill out zone and counselling room, getting the seal of approval from the centre’s visitors. 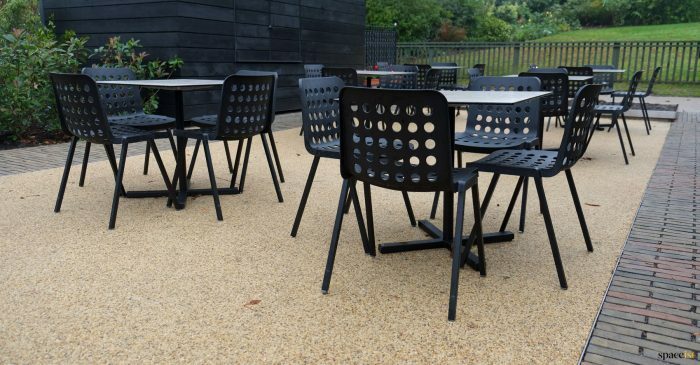 The team here at Spaceist worked closely with English Heritage to design and furnish the cafe and restaurant area at Audley End House, a major visitor attraction just outside Saffron Walden. 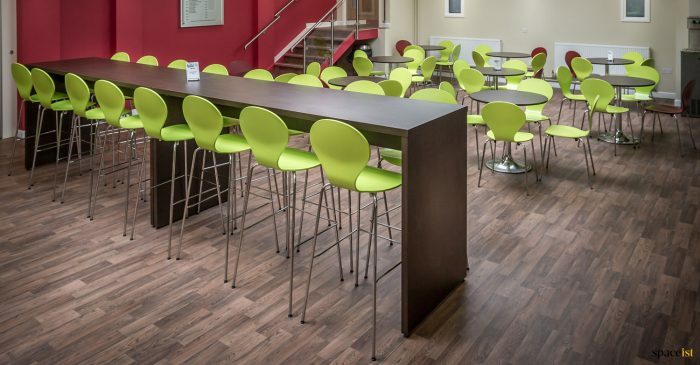 We supplied the company with a full design and consultation service and kitted out the newly created area on the estate with bold and contemporary cafe / bar furniture. 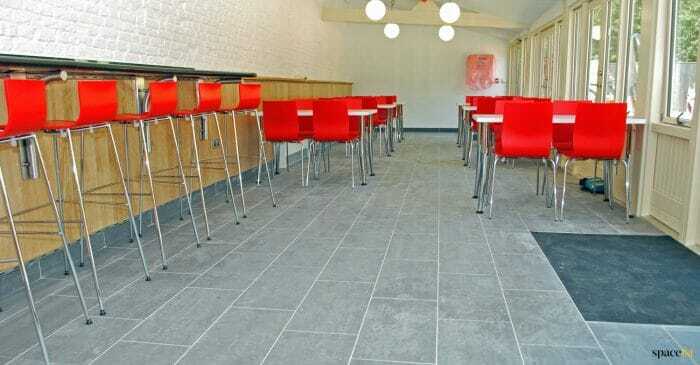 Spaceist is proud to have teamed up with English Heritage for a number of design projects including their renovation of the Tunnels cafe at Dover Castle. 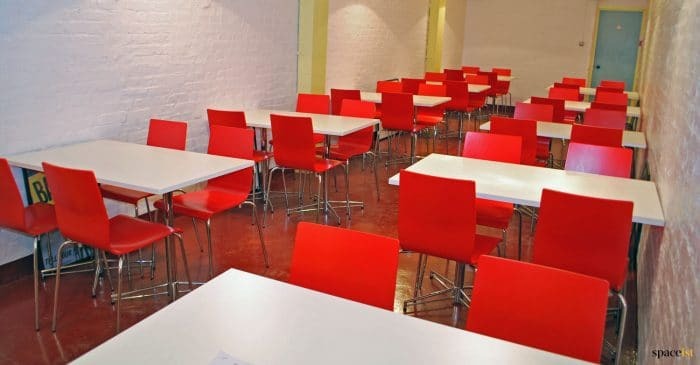 This historic building is visited by thousands of people each year, many of whom take refuge in the cafe after touring the castle’s rooms and grounds. 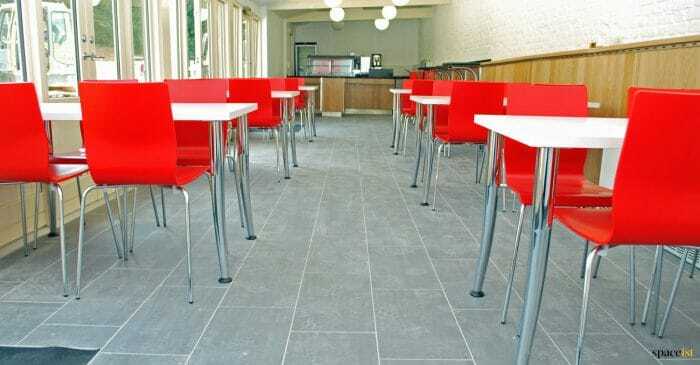 Our task was to supply stylish and practical dining furniture for the cafe and as always, we delivered! 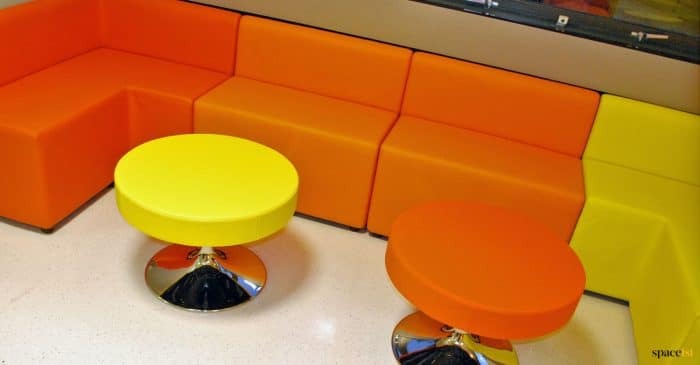 The team here at Spaceist is proud to have supplied London Children’s hospital, Great Ormond Street with stylish and practical furniture for their specialist patient dining area. 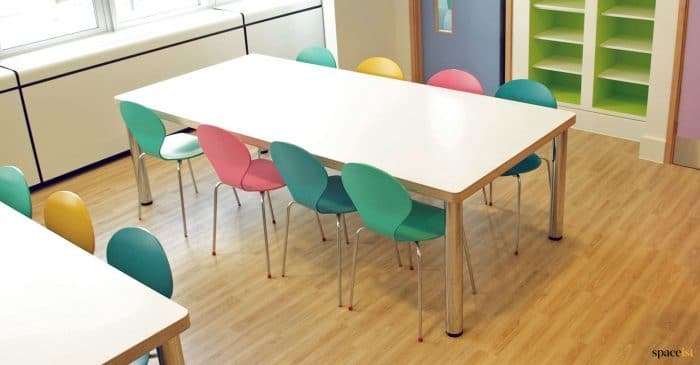 The brief required us to not only source child-friendly furniture but also colourful pieces that contributed to the warm and positive environment, created by the children, parents and dedicated team of doctors, nurses and staff. 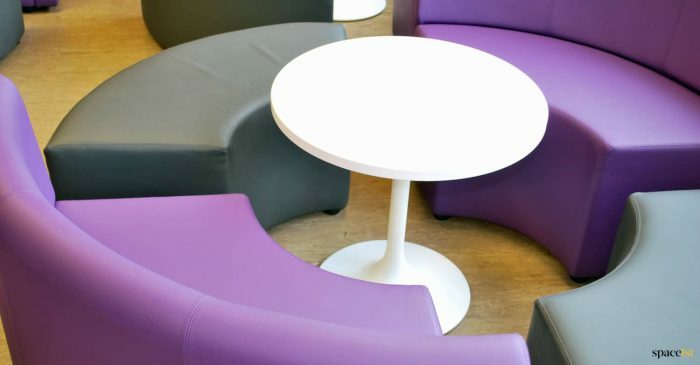 Over the years we have supplied bespoke furniture solutions to a number of different educational institutions, including Guildford College, which was looking for furniture for it’s newly refurbished ‘Food Zone.’ Our team of design experts chose to mix and match different furniture sets in order to create a modern and varied space that students would enjoy dining and relaxing in. 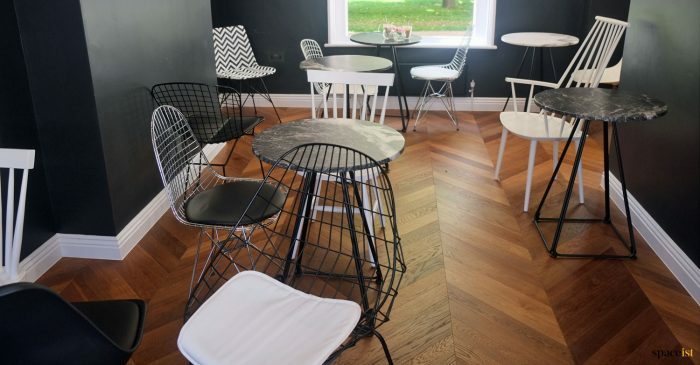 Our team of furniture design and interior experts recently collaborated with the team at the Horniman Museum to create bespoke furniture solutions for their new cafe. 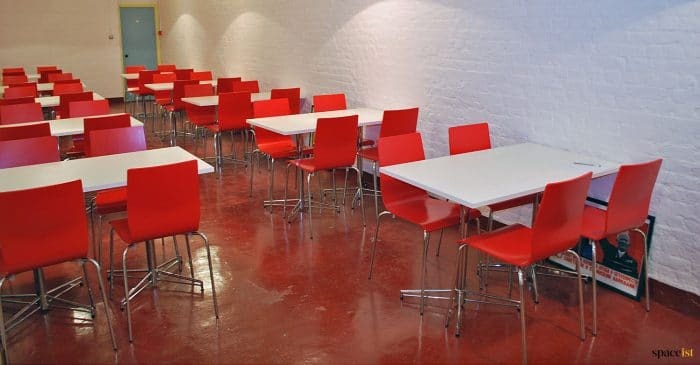 The museum, which originally opened in 1989, is visited by thousands of visitors all year round. 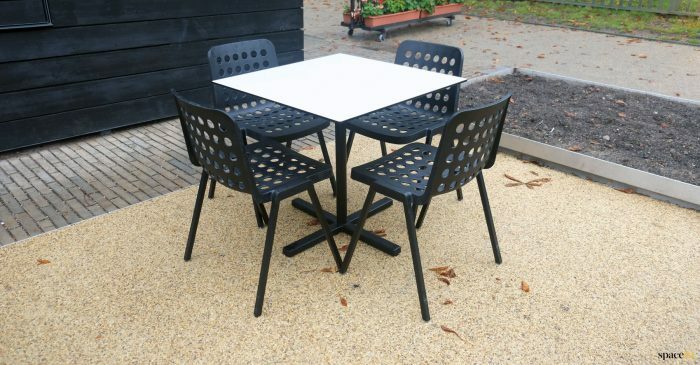 We supplied the museum with stylish and versatile cafe furniture, which is also suitable for outdoor use. 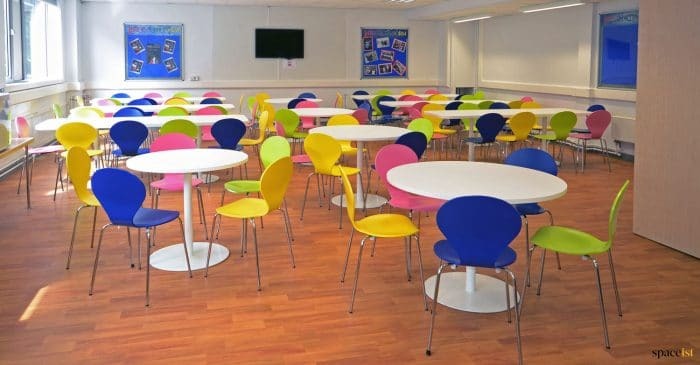 Spaceist was tasked by the Immanuel College in Hertfordshire to supply them with furniture for their newly refurbished Sixth Form Centre. 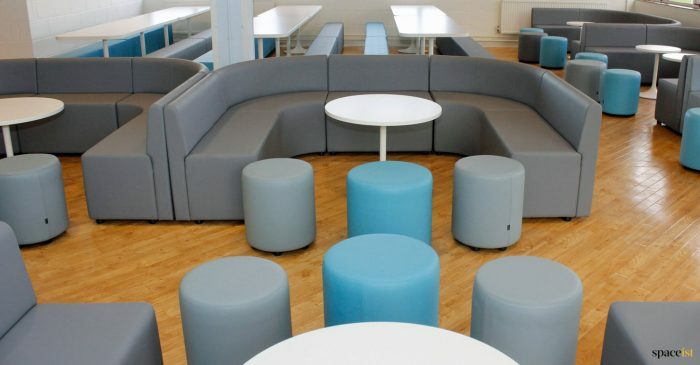 The brief required us to supply soft seating and tables and use it to create zoned areas for groups to congregate. 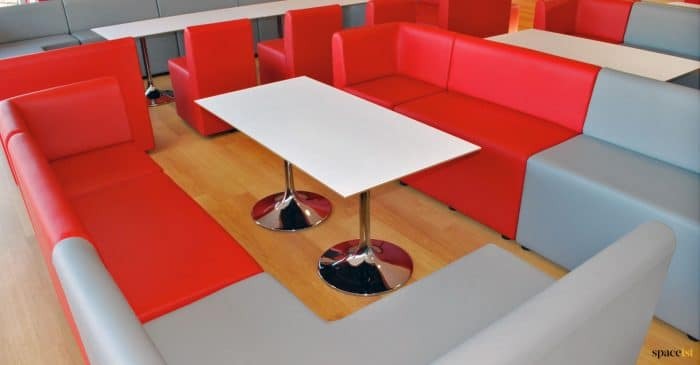 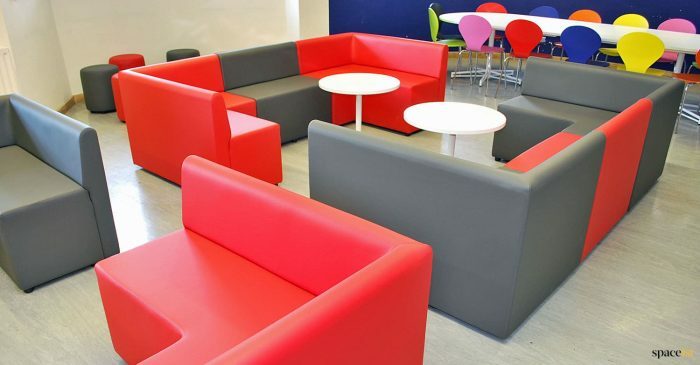 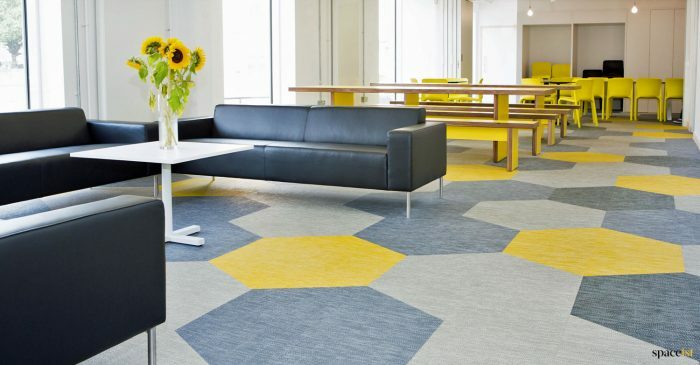 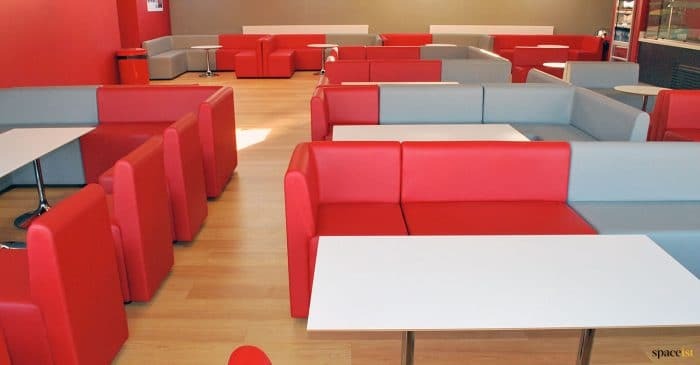 As well as a functional layout, they also required furniture in stylish and contemporary designs to make the space more attractive for students. 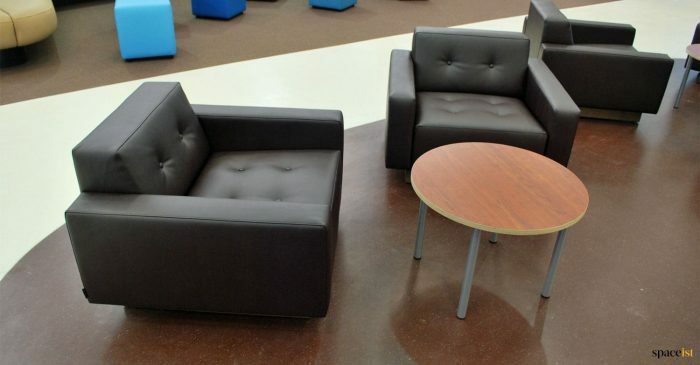 Did we succeed in our task? 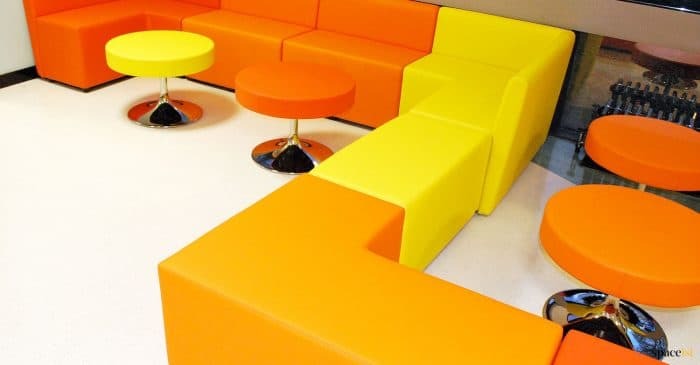 Of course we did! 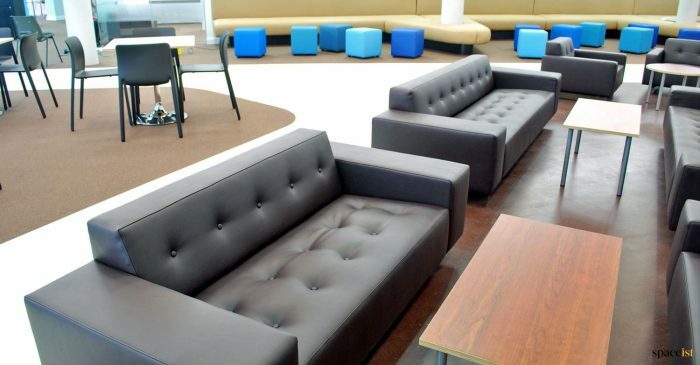 Since launching our business, we have worked with many clients in the educational sector, including Oxford High School. 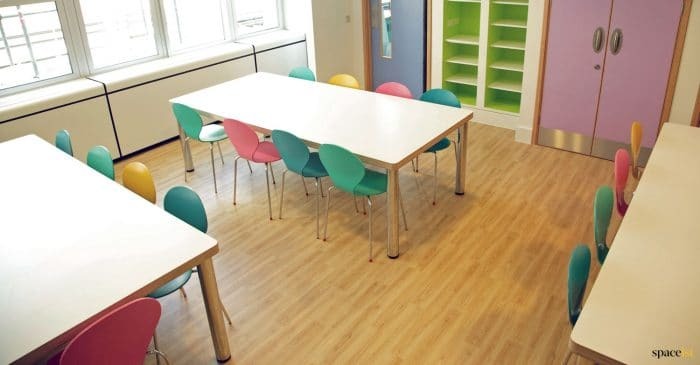 The independent school for girls, which is located near the city centre, tasked Spaceist with supplying a design and furniture package for their spacious sixth form common room. 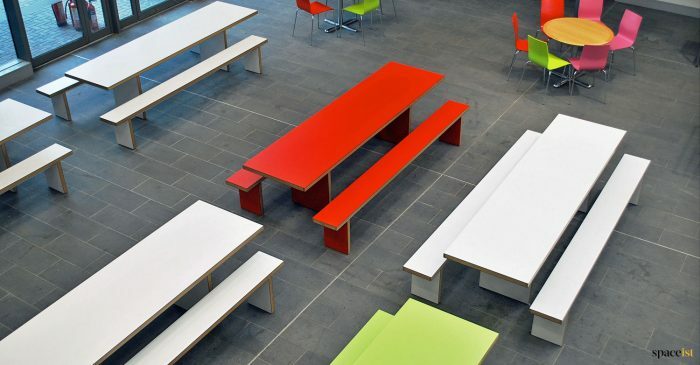 The idea was to create a functional space for both study and recreation. 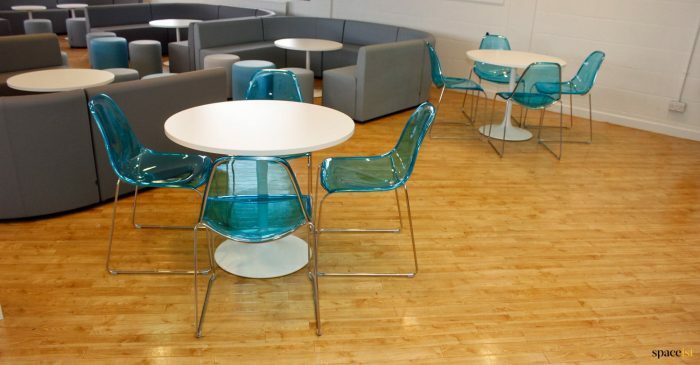 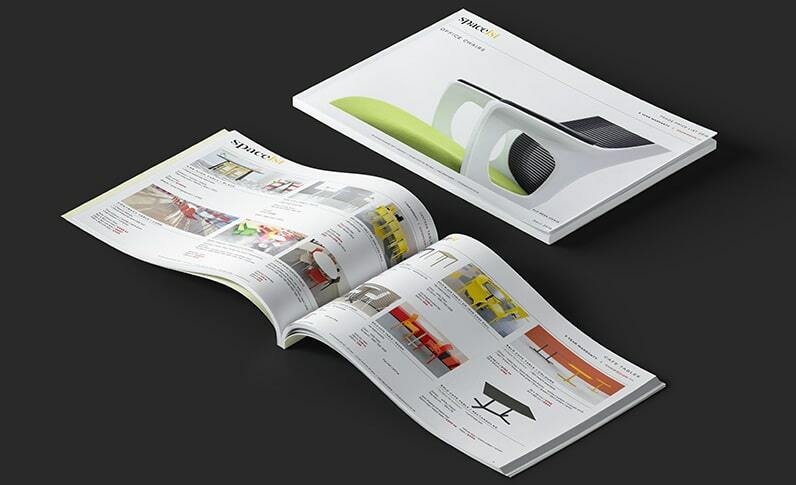 We achieved this by using a mix of furniture designs that offered the best of both worlds. 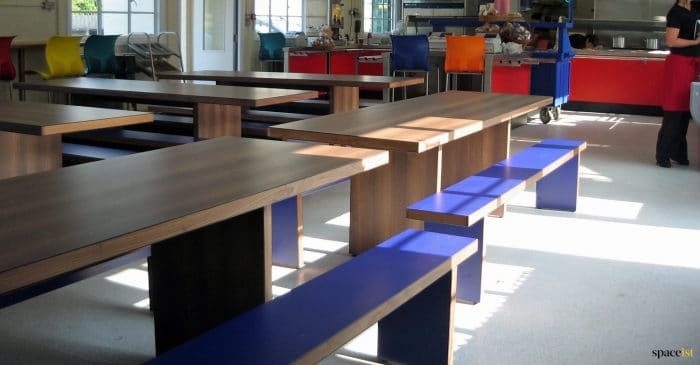 Our team of furniture experts recently collaborated with the team at Prince Henry School to create a furniture solution for their new cafe and canteen area. 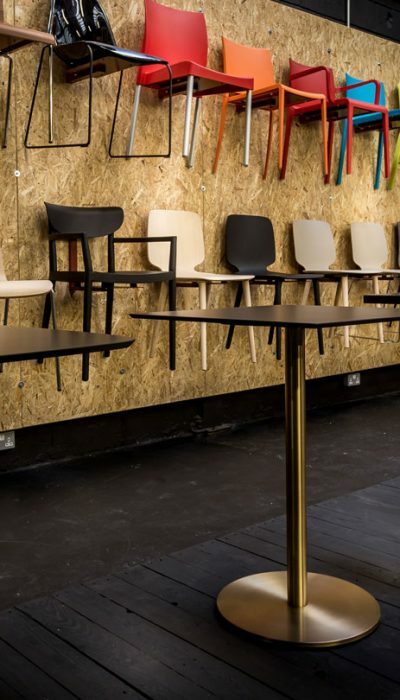 Several types of furniture were specified from cafe chairs to bar stools. 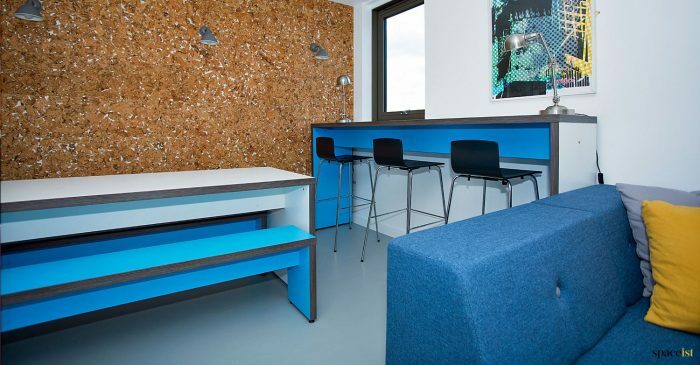 Spaceist recently completed a project for Sir John Cass Hall, a newly refurbished student accommodation facility in Hackney, which serves students as many of the local London universities. 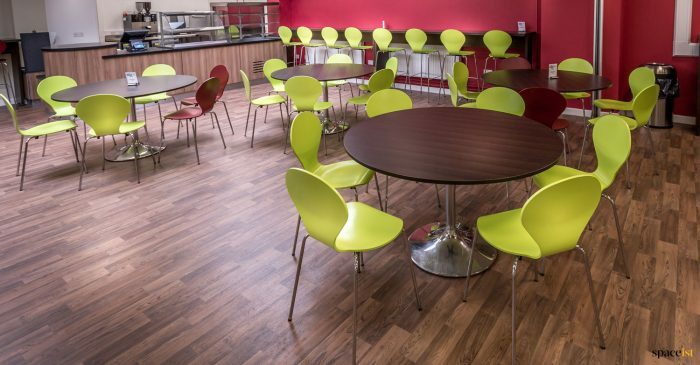 Our team’s task involved supplying a furniture package for the main recreation area; made up of a cafe, dining space and cinema room. 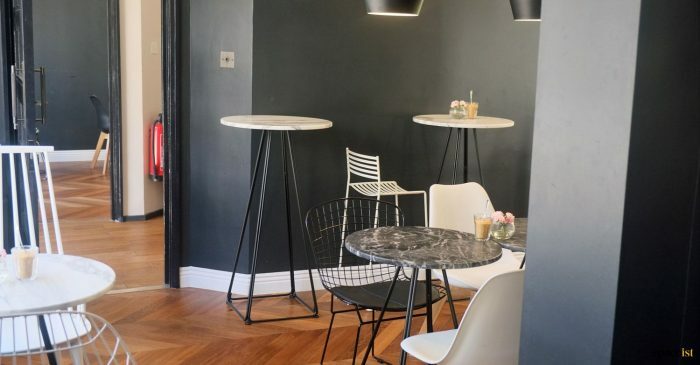 Although we love the challenge of designing a space from scratch, it’s always great to work with a client that knows exactly what they’re after. 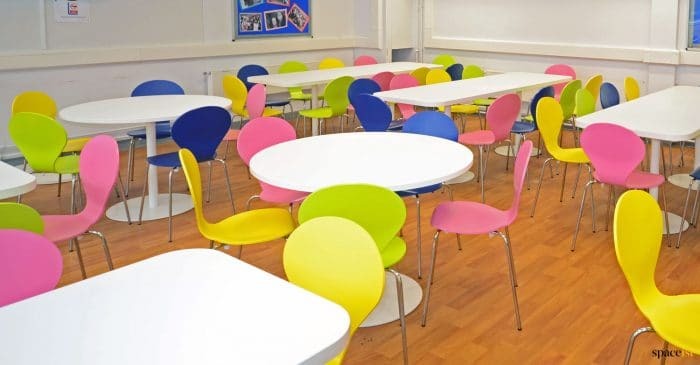 This was certainly the case with Swakeleys School, which was looking for a modern furniture package for their canteen area. 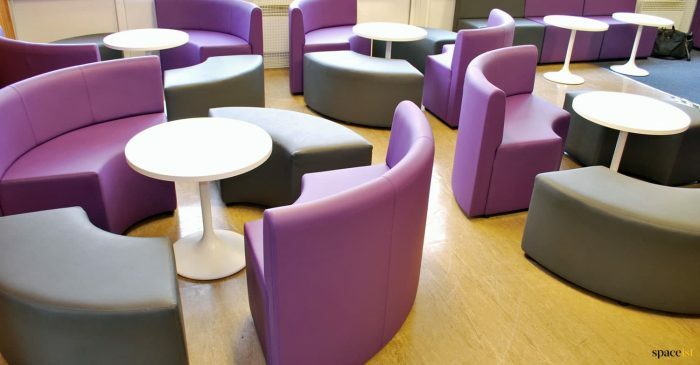 With our help, they created an attractive and versatile environment, suitable for both study and dining combined. 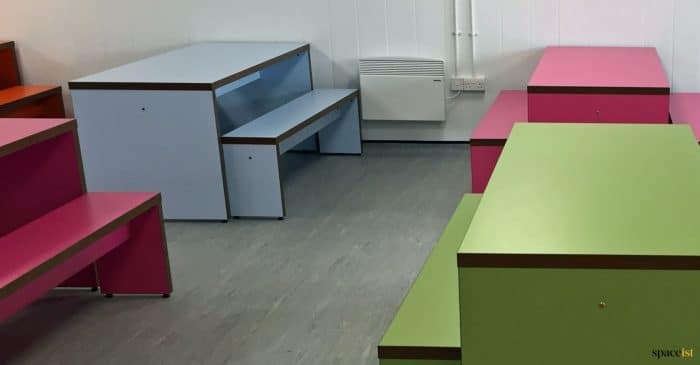 Spaceist recently worked with Weatherhead High School (a secondary state school for girls) in Wirral to produce a stylish and practical furniture package for their sixth form common room. 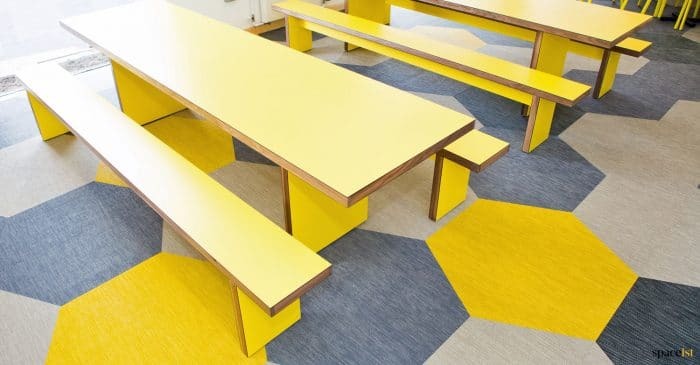 The school were after furniture that offered a modern and clean look, yet wanted to create a visually pleasing environment for both study and dining. 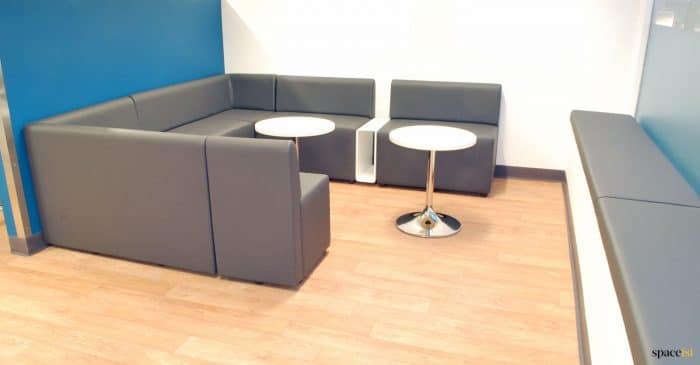 As usual, our team welcomed the challenge and delivered furniture that offered both striking visuals and functional designs.